REGI BASE Major oslovil. Ing. 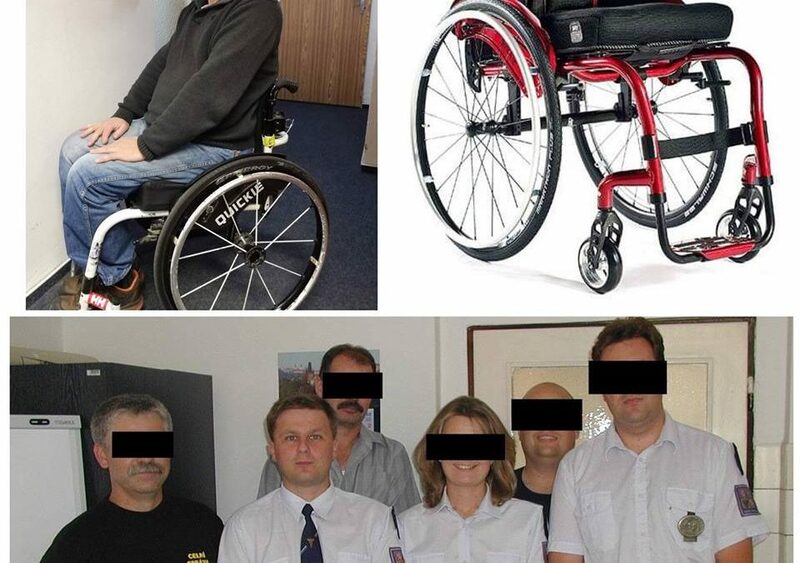 Vojtech Bures, a longtime employee of the finance department of the Customs Office in Prostejov, asking for a contribution for the purchase of new lightweight wheelchair ARGON. Maj. Bures is a few years after a severe spinal injury confined to a wheelchair and its original dosluhuje. Within a short time REGI BASE managed to secure a total of 45 083 CZK total amount of 80 083 CZK. Still missing 35.000 CZK to purchase a new truck. A big thank you to Mr.. Hanák of FTL- First Transport Lines a.s. sent as a gift to purchase a new wheelchair. Mr. Major also can support you by sending donation to the account of the Foundation REGI Base I.- 249 980 5359 / 0100 The words "Major bures". Helping those , who served for us.